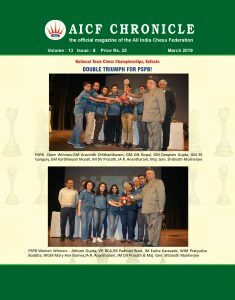 Kolkata (07 Feb 19) :- 39th National Team Chess Championship and 17th National Team Chess Championship for Women got off to a rousing start here at Indian Council for Cultural Relations on Wednesday. 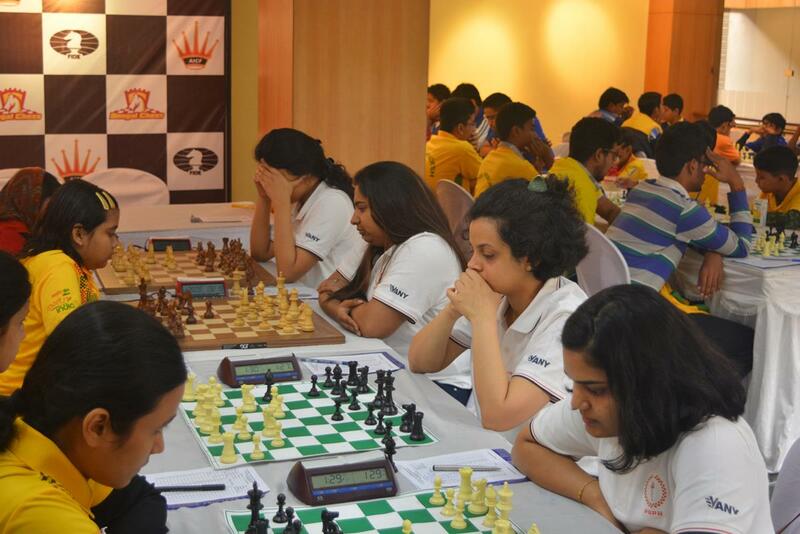 A total number of 44 teams in Open and 15 in Women are taking part in this five days long prestigious championship which has eighteen grandmasters and fourteen International Masters in action in open while three International Masters, seven each Women Grandmasters and Women International Masters in women section. 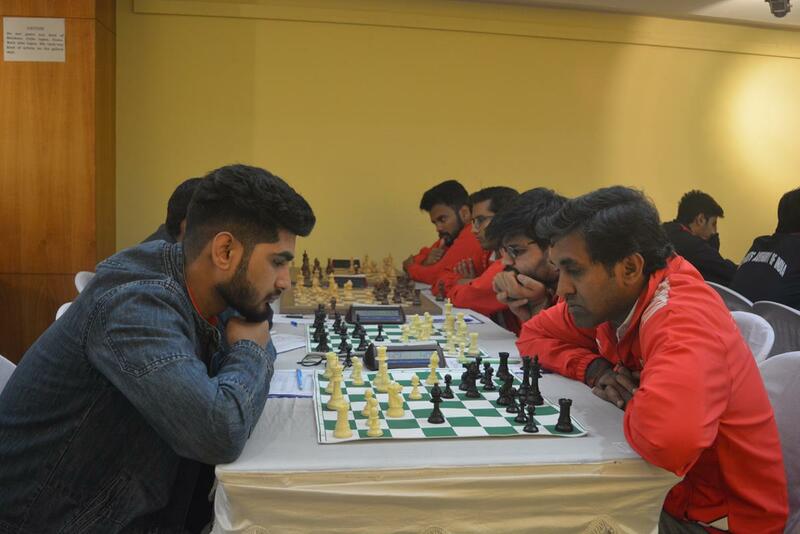 With all Grandmasters in their lineup, defending champions Petroleum Sports Promotion Board started as top seed in the Open followed by Airports Authority of India and Railways ‘A’. In women section also Petroleum Sports Promotion Board got the top billing while Air India and Airports Authority of India started as second and third seed respectively. As expected, the seeded teams had an easier outing in the opening round as top seeded Petroleum Sports Promotion Board defeated Services Sports Control Board while Airport Authority of India outwitted Chess Dragons Kolkata. 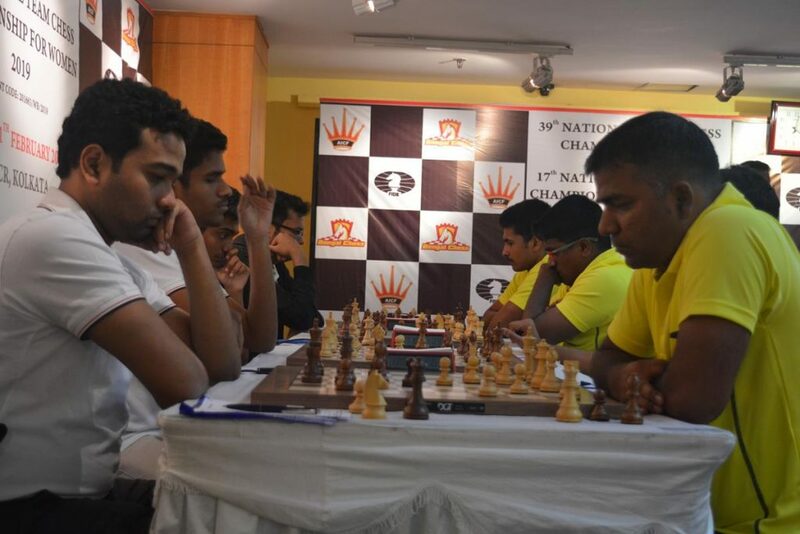 But Railways ‘A’ struggled to beat Bihar ‘C’ with a margin of 3 – 1 as Grandmasters Swapnil Dhopade and Thej Kumar forced to sign the peace treaty with their lower rated Bihar players Rupesh Ranjan and Vikash Kumar Dwivedi in Board number two and four. 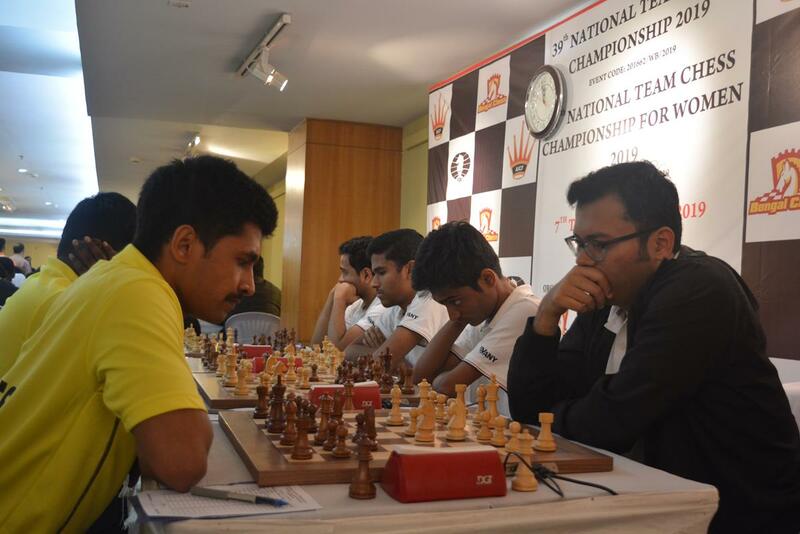 Fourth seed Air India had an easy day as they overcame Maharasthra ‘C’ without much struggle. In women section, PSPB defeated Rising Bengal while Air India and Airports Authority of India got better off Uttar Pradesh and TCF Kolkata respectively in their opening encounter with an identical margin of 4 – 0.